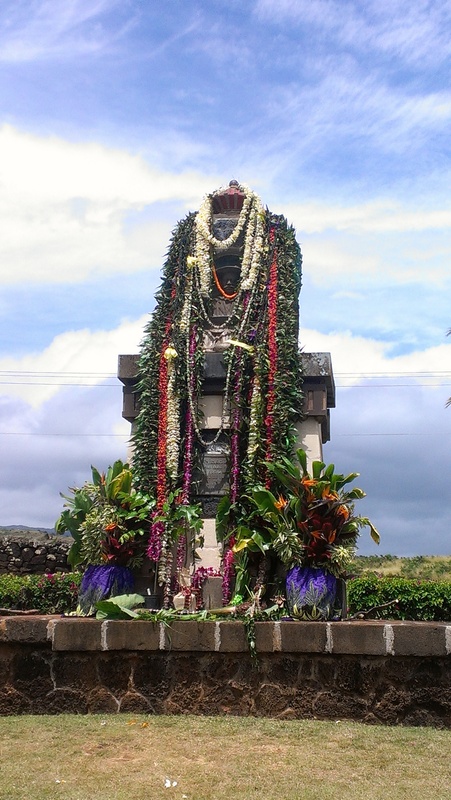 ho’okupu: Tribute, tax, ceremonial gift-giving to a chief as a sign of honor and respect; to pay such tribute; church offering. It was a really nice day to remember Prince Kuhio with my sweet. Was good fun hang with the uncles to. Yes, real aloha all day long. A precious memory for me….